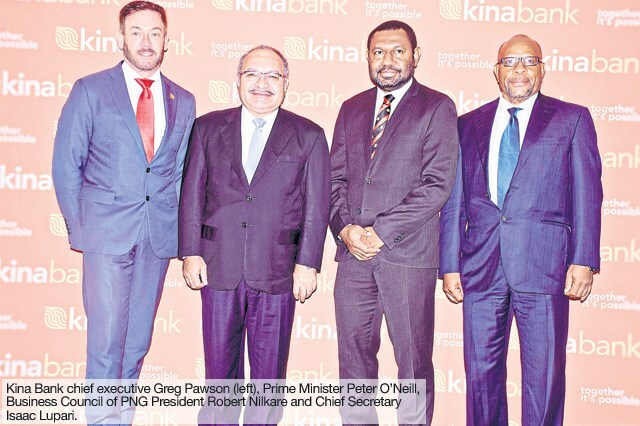 The Papua New Guinea's Kina Bank aims to have its services and products made more accessible to its clients in the country, chief executive Greg Pawson says. He told a business breakfast meeting in Port Moresby yesterday it would be made possible through technology and innovation. “The key challenges for the country is to ensure economic and job opportunities extend to the wider population,” he said. “Pleasingly though, the non-mineral GDP growth for this year is expected to pick up from 1.9 per cent to 3.5 per cent. “This is very encouraging and we see the need for development in the new industries in the formal sector to drive jobs growth. “Great example of this is the emergence of new technologies. “The financial services sector is a leading example of what is possible in this space. 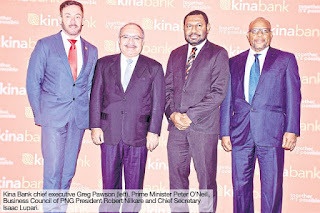 “At Kina Bank, our vision is to become the dynamic, progressive and the most accessible financial services company in Papua New Guinea. On the outlook for this year, Pawson said: “It seemed like a period of low and relatively flat over the past 12 months and we anticipate this will continue into 2018. “The currency has been relatively stable and while the import backlog is still a significant struggling issue before us, inflation has been kept relatively intact at 5.9 per cent. He said the lack of sufficient foreign currency had impacted the levels of activity “certainly compromising future growth potential”. “Businesses have been doing it tough.